Best top 5 portable On Screen Keyboard softwares free download for Windows XP/vista/7/8/10 PC/Laptop to reduce finger motion errors and increase typing rate. This is a versatile easy to use On Screen keyboard. It is fully customizable and is compatible with Windows 8 User Interface. It also supports different languages and can therefore be used in the whole world. It is fully customizable and one can use either for numerous functions or for many monitors. It is not only used for mobile devices but also for machines control panel, kiosks and point of sale machines. It is also supported by Windows XP, 7, 8.1,10 operating systems. Free Virtual Keyboard is light and multilingual. It is highly suitable for persons with mobility impairments as they can easily use a pointing device with it. This On Screen keyboard is flexible as it can easily be resized to work on portrait or landscape settings for full screen and small screen. Instead of typing, writing a double letter you can long-press a key for auto repeat. This keyboard is fully portable and can be saved and run from a USB stick. 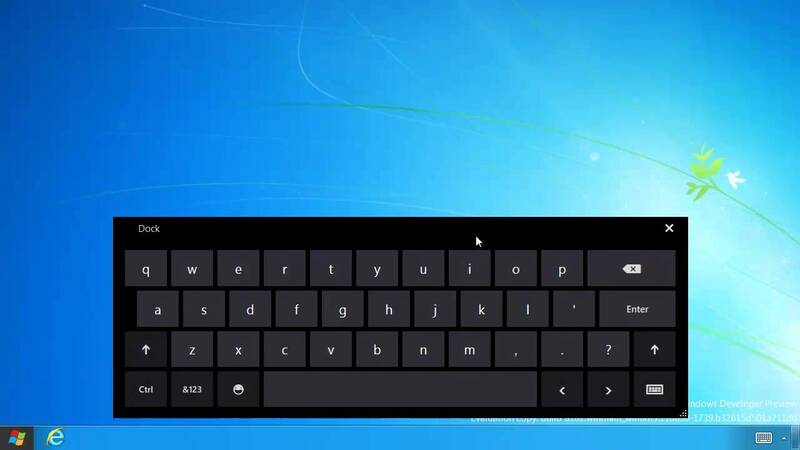 This On Screen keyboard can be easily accessed from portableapps.com platform and for this reason it is highly customizable and can be used from one device to another. Since it is easily accessed on different devices, you can save your preferred settings and use personally every time. This keyboard is primarily meant for those with physical disability that hinders them from typing on a physical computer keyboard. As a result it can be easily used with a mouse or any other pointing device. It is multilingual and has audible keys making it suitable for the blind. It is also portable and supported by a wide range of Windows operating systems. Also, it is completely free. This is a software that replicates the hardware keyboard for use on touch screen devices. It can easily fit into any device and easily changes color for more and easier visibility. Color changing is controlled by a slider located on the bottom right hand corner. It has an auto repeat function which is activated by pressing a key continuously. It is easily supported by Windows 10 OS and is totally portable. Wosk On Screen Keyboard display symbols are easily accessed via the AltGr key. Finally above mentioned On Screen Keyboard softwares provide the convenience of reduced compactness with their extraordinary compatible features.